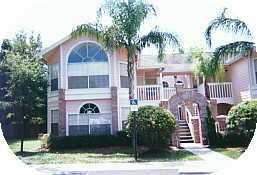 Our Villas at Somerset are located just 3-1/2 miles from Disney World, and 30 minutes from Orlando's International Airport. There are plenty of restaurants and shopping nearby. Amenities include a Jacuzzi, swimming pool, and 1300 square feet of comfortable living space. Two car garage with remote opener to keep your car cool and protected in the summer. You'll be hard pressed to find more ideal accommodations for your trip to central Florida. The condo may be reserved more than a year in advance during our most popular weeks. Email us with the dates you desire. We'll do our best to reply within 48 hours.